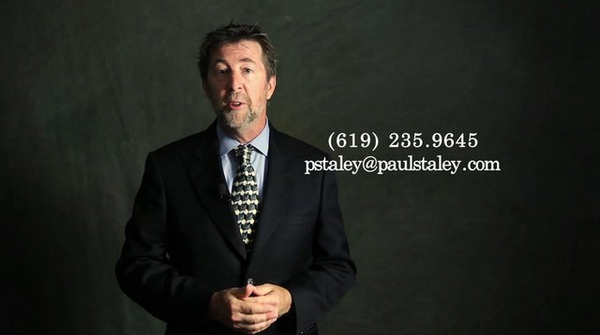 Why should I be in a Chapter 7 bankruptcy if I need to file bankruptcy? If you have gone this far to search “Chapter 7 bankruptcy attorney “ things aren’t going well for you. In spite of the economy that has gotten better for some people, it has not gotten better for everyone. The people I see are in real financial difficulties. The other thing is, they feel really bad about having to come to see me. Reality is nothing like what we heard from lobbyists for lenders. They cried loudly and paid well to have Congress convinced that people who file bankruptcy are parasites, losers – an overall drain on “the system” calling for a fix. In my experience, nobody has a greater desire to succeed and pay their debts than those who find themselves so hopelessly unable to do so that they must consider bankruptcy. These people take this very seriously. Because of that, I dig deeper into their finances to find a way to put them into a Chapter 7 bankruptcy. Yes, I do both Chapter 7 and Chapter 13 cases. And there certainly are circumstances where there is no way accomplish a Chapter 7 for the client. But I don’t file anywhere near as many Chapter 13s (proportionately) as most of my peers. For example, the average practitioner will file one Chapter 13 for every three Chapter 7s. Not me, not when the average failure rate is 70% among all Chapter 13 cases. I file one chapter 13 for about every one hundred Chapter 7 cases. Why do most Chapter 13 bankruptcies fail? Filing Chapter 13 bankruptcy is like being on a diet, except that diet lasts three to five years. Most people, myself included don’t do well with long-term diets . We fall off the wagon. Something happens and we make a wrong turn. The same is true with a chapter 13 bankruptcy: our financial situation changes and we find it very difficult to stay on a financial plan that is fairly restrictive. As I said before, the people who see me are in serious financial trouble. Bankruptcy is not what they wanted, but sometimes the best thing to do is treat the financial problem like a cancer and cut it out. hould I file a Chapter 7 bankruptcy? People who come to see my about bankruptcy feel bad about the situation.Nobody wants to file bankruptcy. They want to pay off their debts. Candidly, we all do. Often, by the time they get to me, they have already tried very hard to fit into a Chapter 13 bankruptcy. In a Chapter 13 bankruptcy the debts are paid down at a discounted rate. People feel better about that than if they “walk away” from the debts. Even when the best thing to do is just file Chapter 7 and move one with one’s life, there is a powerful psychological barrier to taking that Big Step. I invite anyone who is considering a Chapter 13 bankruptcy in San Diego to challenge me to figure out a way to put him or her (or them) into a Chapter 7 bankruptcy as their attorney in San Diego. I want this situation to be over for you so you can go on with your life. Now is the time to make a decision and consider the option of at least speaking to me about a Chapter 7 bankruptcy attorney.